Xeikon Café North America’s agenda promises two and a half days of thought-provoking and inspiring interaction with leaders and innovators from all corners of the industry’s value chain. Panels, workshops, demonstrations, presentations and social events, all are designed to provide visitors with tangible ways in which to improve their businesses. Kicking off the general session on Wednesday, keynote speaker Peter Muir will talk about his unique, pragmatic view on how to achieve and sustain success as a converter or print service provider. The keynote session is enigmatically titled “Learning a Skill that Could Kill You: Lessons from Lifelong Learners.” Muir, who holds a Master’s degree in Graphic Arts Publishing from Rochester Institute of Technology, is known for his work in linking together people, education and technology to bolster business success. The general session also will include a panel brand owners and agency executives who will explore the strategic role that print service providers and converters play in establishing and maintaining a strong brand presence. Xeikon CEO Benoit Chatelard also will update the audience on the company’s goals and achievements, Paul Reilly of New Direction Partners will address Printing Industry Megatrends. 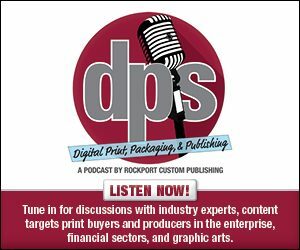 Separate tracks for the graphic arts/commercial print and label & packaging sectors feature sessions on workflow automation, personalization and other ways in which to create new revenue streams or reduce overhead costs. Each track also features a visit to the nearby Xeikon Innovation Center where Café visitors will see live demonstrations.